Hans Wilsdorf was light years ahead of his time. Living in an era when pocketwatches were the norm, he envisioned a more practical and pioneering way of timekeeping and founded his own manufacture in 1905. Since then, his watches have seen countless acts of heroics and adventure. 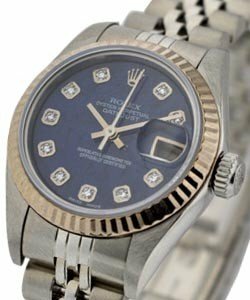 Today, Rolex watches denote strength and a keen sense of style as one can surmise from the most simplest of his models: the Rolex Datejust. The cases are all crafted from stainless steel, and the bezel may be of similar metal or white gold, rose gold, or yellow gold. Either domed shaped, or fluted, or set with diamonds. 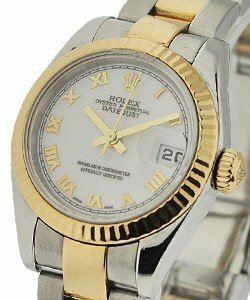 Inside the Rolex Datejust is a self-winding movement to ensure precise hours, minutes, seconds, and date. Admirably versatile, the Rolex Datejust comes in 26mm, 31mm, 36mm or 41mm.